With that commitment to high-standard quality in mind, we haven’t been able to calm our curiosity as to what the rest of Gargiulo’s beauty routine looks like. Sure, we know her basic skincare routine is comprised of a cleanser followed by her brand’s the Active Treatment Essence and Active Botanical Serum, but what about her hair? What about her makeup? What about her signature scent? 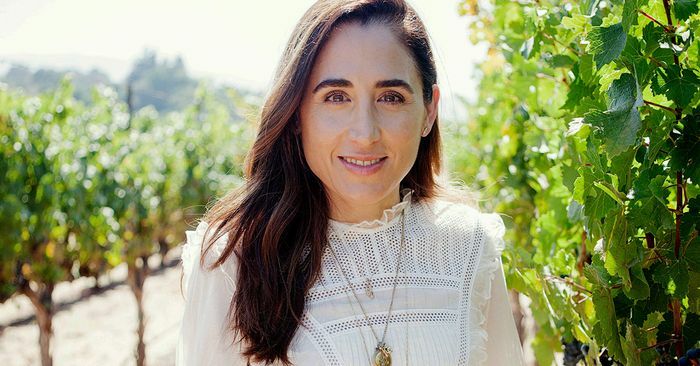 Considering her self-professed love for “old-world luxury,” we had a hunch Gargiulo’s beauty routine would be covetable and gorgeous, while still following the simple aesthetic Vintner’s Daughter is known for. And after asking Gargiulo to reveal her favorite go-to products, our hypothesis has proven correct.